Looking out over the canyonlands near the Green River from within a unique double arch formation on the canyon rim. In late October we hit the road for two weeks of camping and hiking in the deserts of southern Utah. Our first destination was the remote and relatively seldom-visited region along the Green River between the towns of Green River and Hanksville. Posted in Deserts & Canyons and tagged Utah on November 11, 2015 November 11, 2015 by Jack Brauer. 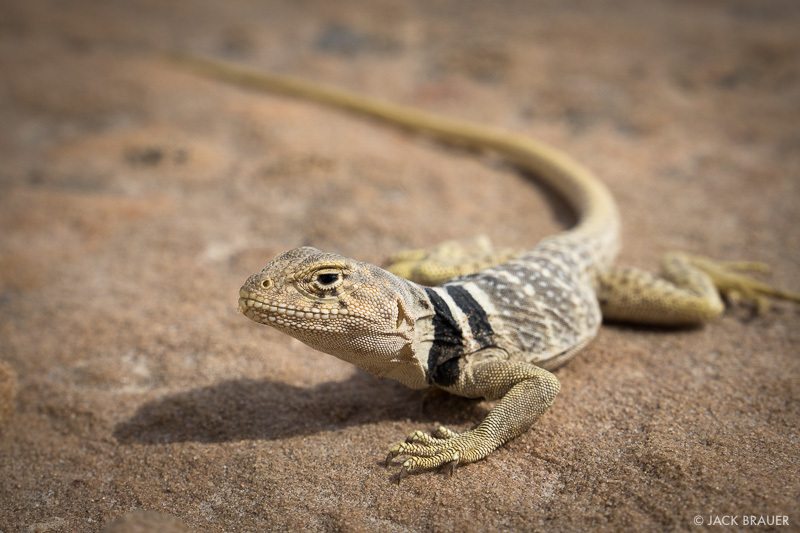 Posted in Deserts & Canyons and tagged Utah on April 24, 2015 by Jack Brauer. Thunder Spring is an incredible spring that emerges from a cliff wall of the Grand Canyon nearly 4000 feet below the canyon rim with the force of a roaring river. Last week we repeated a backpacking trip down into the Grand Canyon which we had done several years ago — a “lollipop” loop from the north rim down to Thunder River and Tapeats Creek, along the Colorado River, and up Deer Creek. When we hiked this route the first time back in November 2012, we did it in three days and it felt much too rushed and strenuous. But it was so impressive that we’ve been excited to return — this time with five days to relax and soak in the scenery. Posted in Backpacking & Trekking, Deserts & Canyons and tagged Arizona on April 24, 2015 by Jack Brauer. 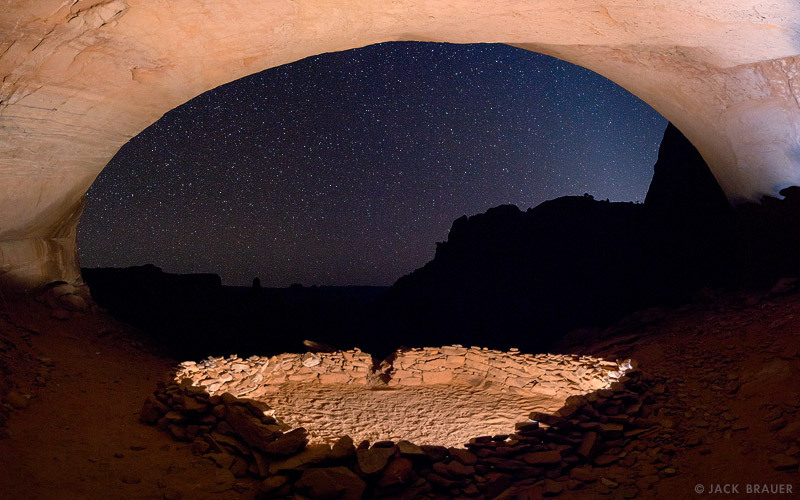 False Kiva illuminated on a February night, Canyonlands National Park, Utah. With no new snow in the mountains we headed out for a quick trip to Canyonlands earlier this week to enjoy the freakishly spring-like February weather. We spent a few days camping up on the Island in the Sky and doing hikes around there. The shot above is a stitched long-exposure panorama of False Kiva, illuminated by a single headlamp placed in the kiva. This kiva is of unknown origin; it’s not clear whether it’s an authentic native site or of later construction. 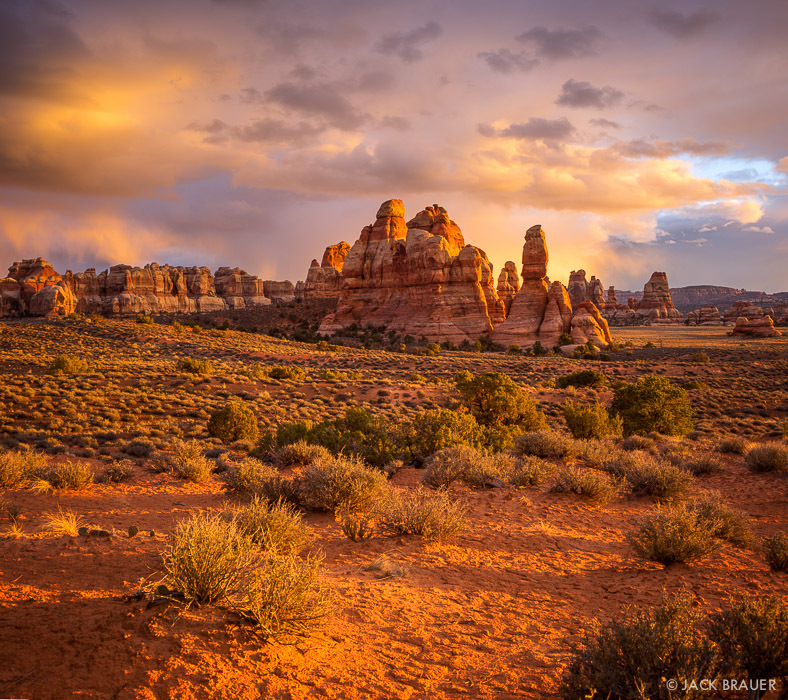 Posted in Deserts & Canyons and tagged Canyonlands, Utah on February 13, 2015 by Jack Brauer. 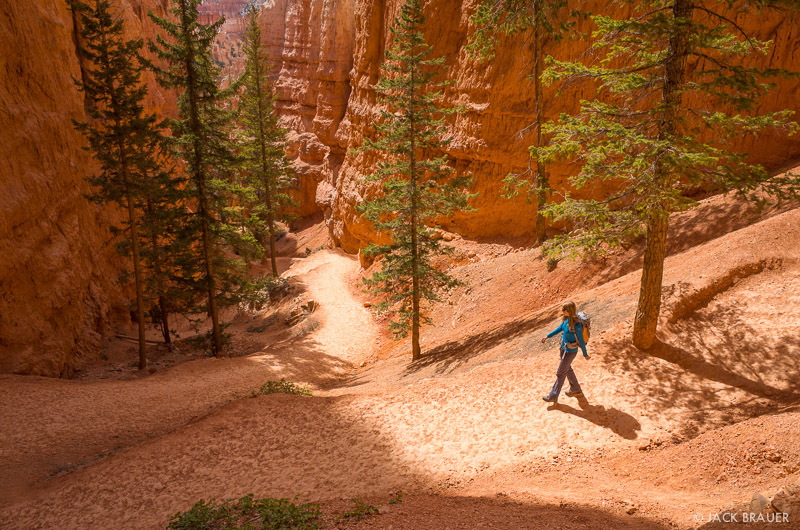 Hiking the Navajo Loop Trail in Bryce Canyon National Park. 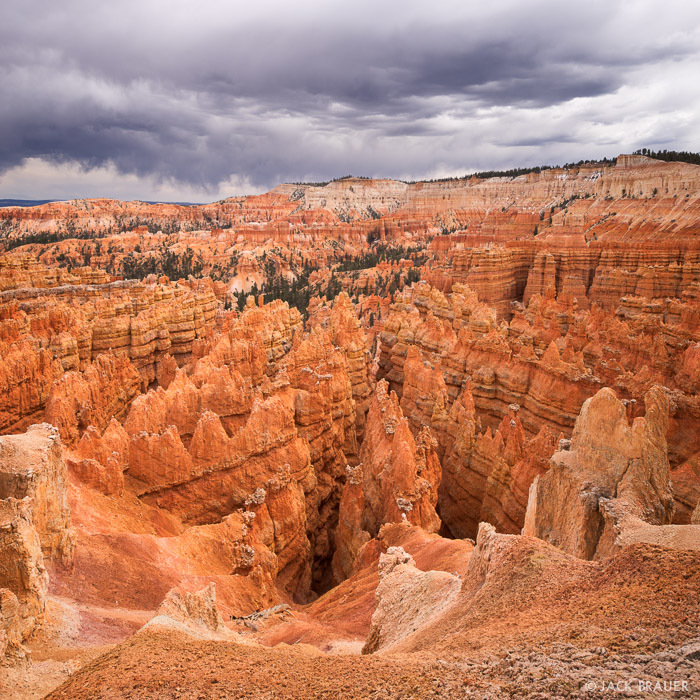 The last stop on our two-week road trip through southern Utah was the famous Bryce Canyon National Park, which Claudia just had to see since we were so close already in Escalante. The shot above was taken right before we randomly ran into my photographer friend Rich Voninski. Nice to see you, Rich! 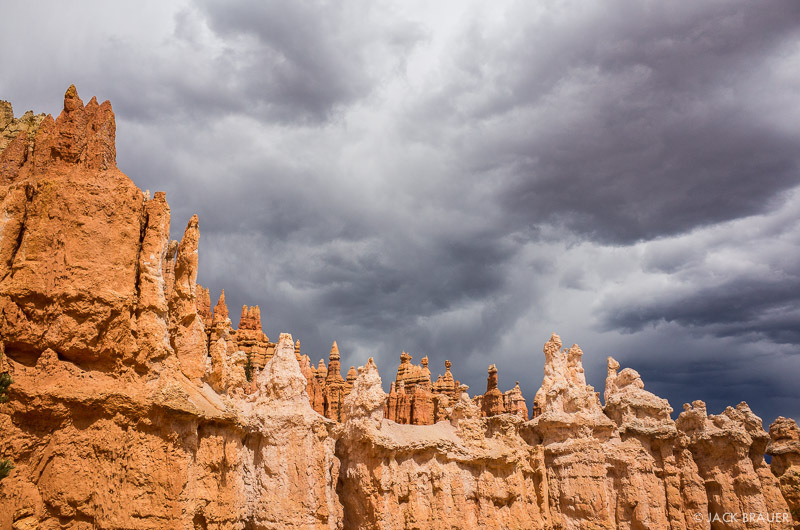 Ominous dark clouds contrast with the brilliant orange spires of Bryce Canyon. Despite the threatening storm clouds, we day-hiked the Peekaboo and Queens Garden loop trails and were fortunate to not get rained on! The dark clouds actually provided a wonderful atmosphere against the bright orange hoodoos all along the trail. 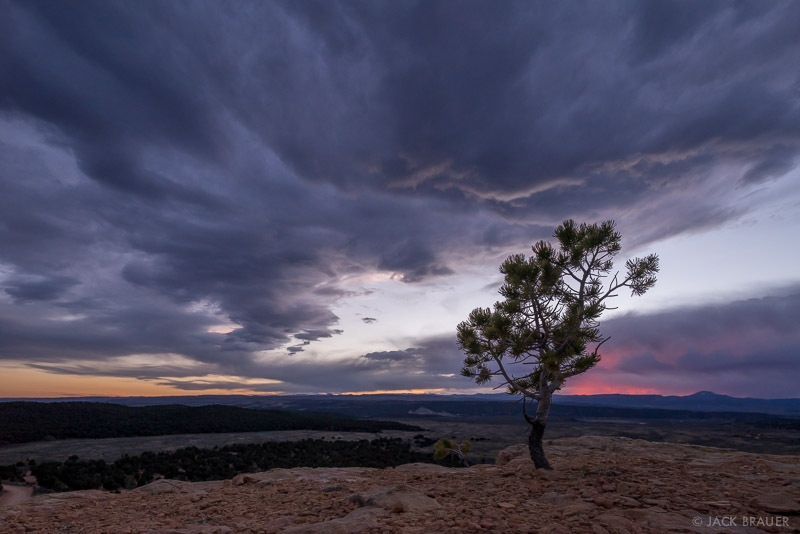 Ominous stormy clouds over Bryce Canyon National Park – April. Sunset over Panguitch and the Sevier River valley as seen from Red Canyon. After hiking the fantastic trails in Bryce, we needed to escape the crowds there since we were more adjusted to solitude after two weeks of camping on our own in the wilds. So we headed over to nearby Red Canyon and found a nice secluded camp spot for the evening. A quick scramble above our camp provided a broad vista from which to enjoy a windy sunset. Ominous clouds signal the approach of a spring storm – April. That night it poured rain for the first time on our trip, and with the continuing stormy weather in the morning we decided it was time to end our desert journeys and head home to the mountains. 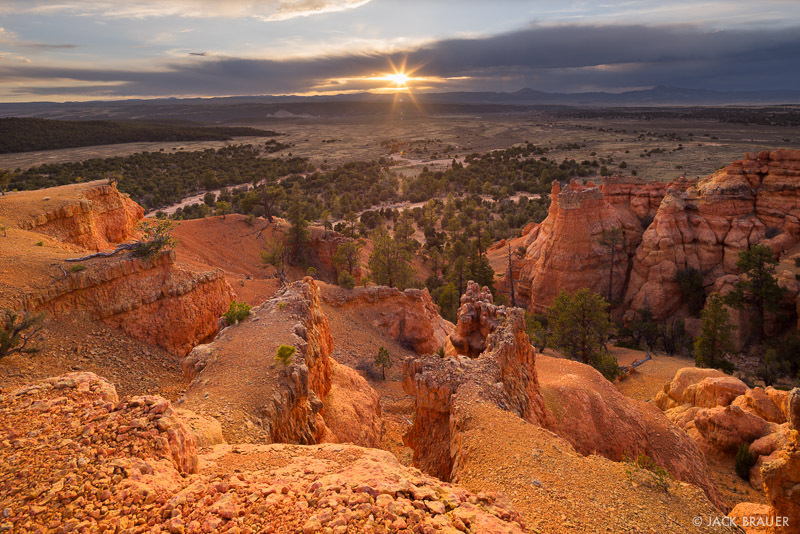 Posted in Deserts & Canyons and tagged Bryce Canyon, Utah on April 19, 2014 April 20, 2014 by Jack Brauer. 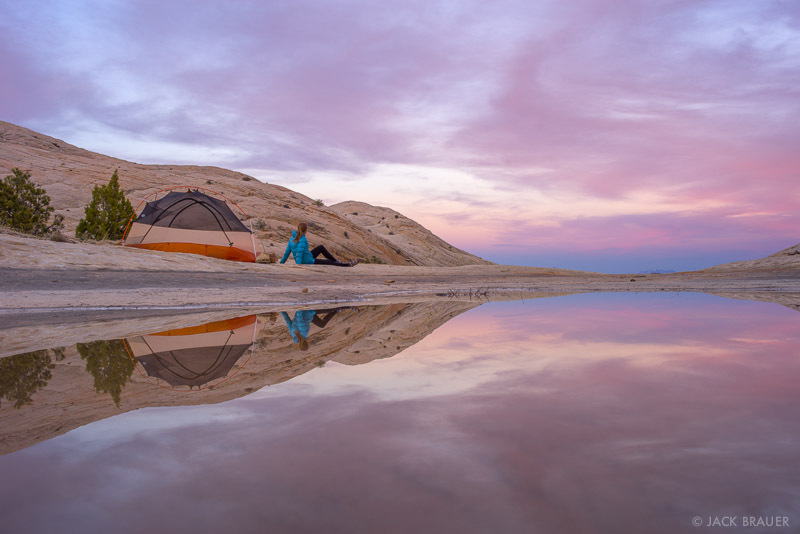 Sunset reflection in a small waterhole at our slickrock campsite along the Boulder Mail Trail. 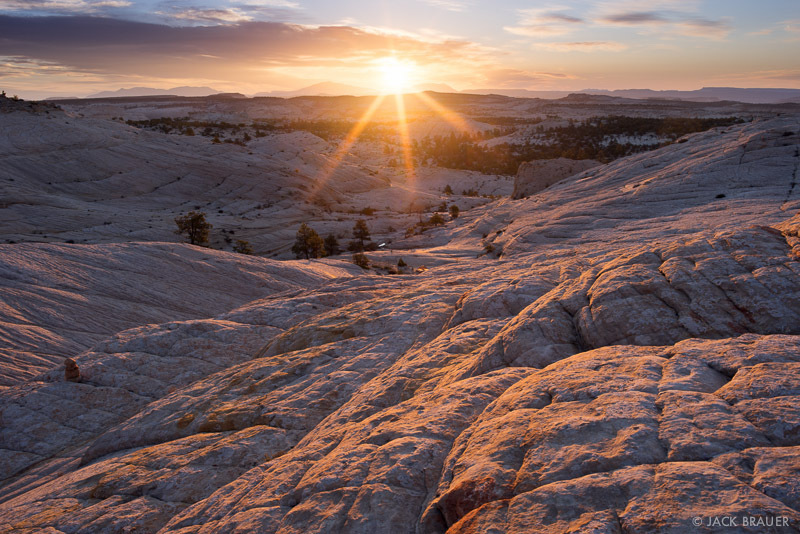 Sunrise illuminates a sea of slickrock along the Boulder Mail Trail between the towns of Escalante and Boulder. Posted in Backpacking & Trekking, Deserts & Canyons and tagged Escalante, Utah on April 17, 2014 April 19, 2014 by Jack Brauer. The Henry Mountains rise above the slickrock desert between Boulder and Escalante. 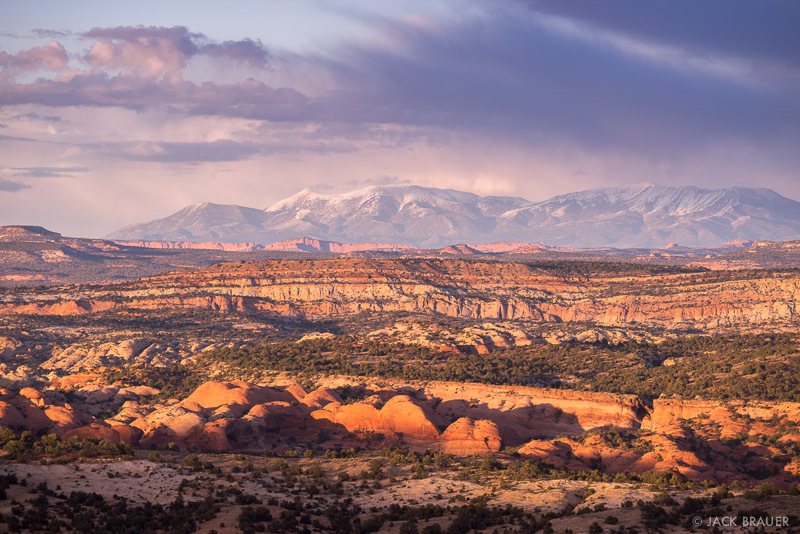 The Escalante region is one of my favorite areas in the southern Utah desert. 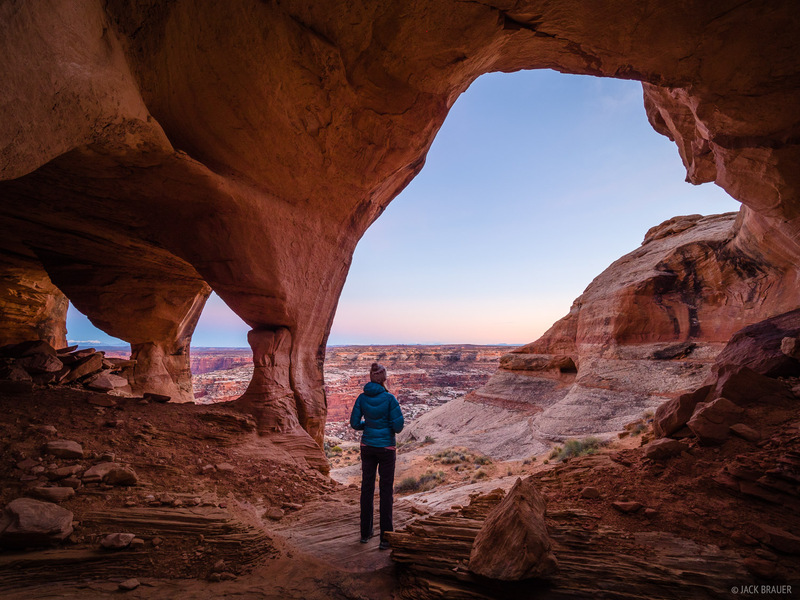 Though perhaps less impressive at first glance than other Utah destinations, a little bit of hiking reveals countless deep canyons and slots. The variety of canyon country around Escalante is staggering. Camping under a huge alcove near the Escalante River. I wanted to show Claudia a few of the classic canyons off the Hole in the Rock Road, so we backpacked down in there for two nights, establishing a base camp from which we could explore several narrow canyons on day hikes. Hiking through a deep canyon tributary of the Escalante River. 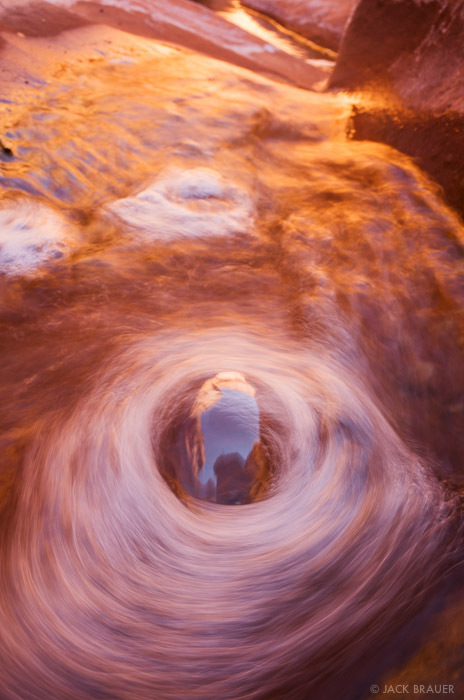 A little whirlpool generates bubbles in a small canyon creek. Despite my griping, there are still many empty canyons to explore and plenty of solitude to be found out there! 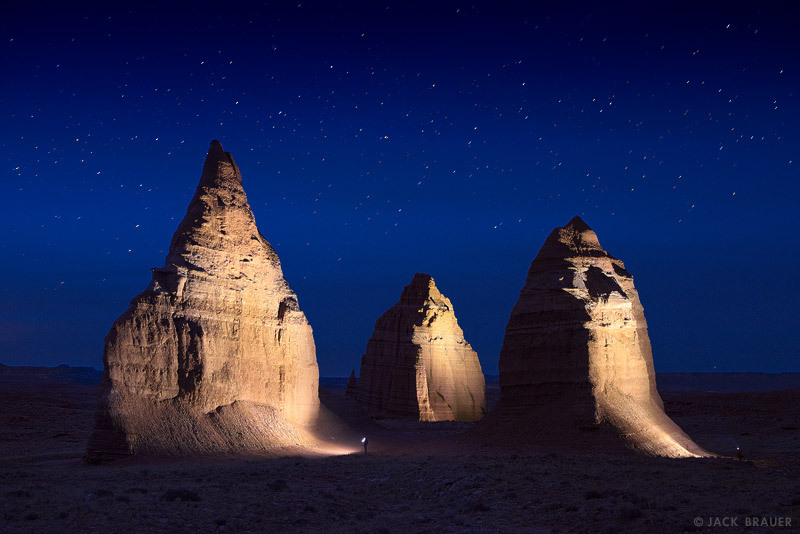 Light painting amongst the spires of Cathedral Valley. Our recent dirt-road route around the San Rafael Swell in Utah took us briefly through the Cathedral Valley on the far north end of Capitol Reef National Park. We spent an evening in Lower Cathedral Valley, having fun experimenting with some large-scale light painting (thank you Claudia!) and catching the sunrise light on the Temple of the Sun, a pointy spire that pokes improbably out of the surrounding flat valley. Sunrise light in Lower Cathedral Valley. 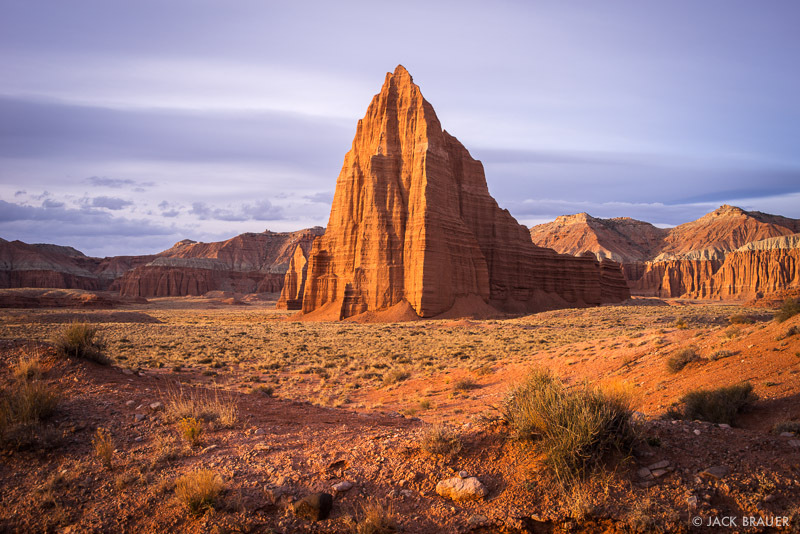 Posted in Deserts & Canyons and tagged Capitol Reef, Utah on April 17, 2014 by Jack Brauer. 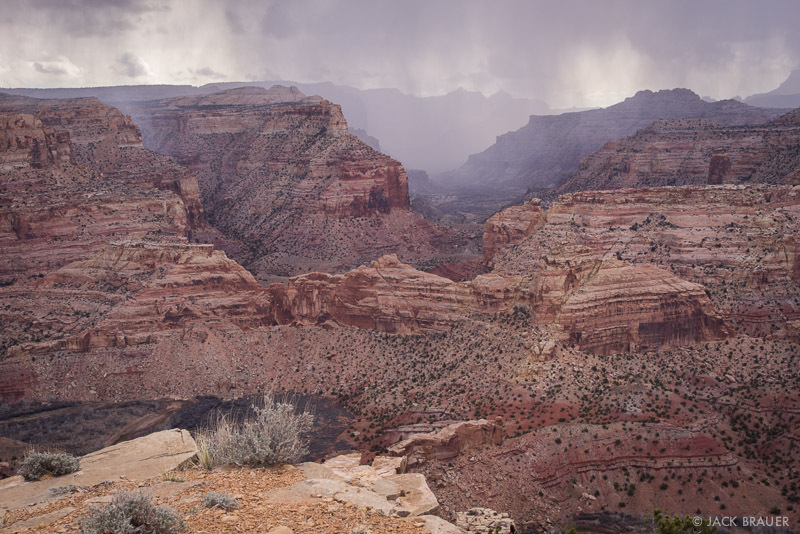 A spring snowstorm passes over the Little Grand Canyon, through which the San Rafael River flows. Although this is my so-called “Mountain Photographer” blog, the next several posts will be full of desert and canyon photos instead! During the first two weeks of April, we were out on a road trip through southern Utah visiting some old favorite spots as well as some new territory for us. 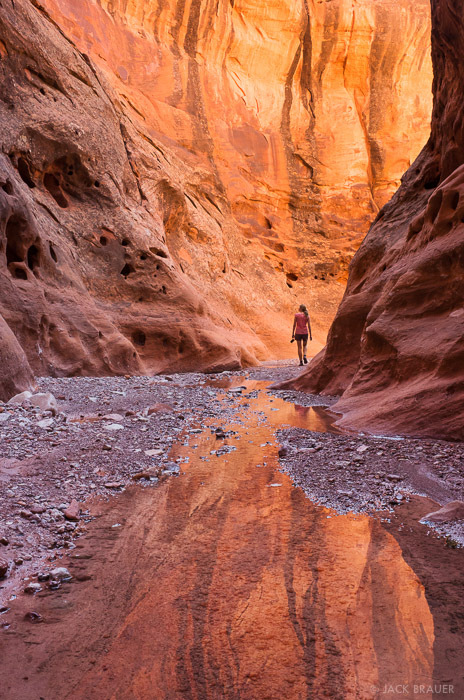 We spent the first week exploring the often-overlooked San Rafael Swell region. Posted in Deserts & Canyons and tagged San Rafael Swell, Utah on April 16, 2014 April 16, 2014 by Jack Brauer. As winter drags on, there are times when no matter how good the snow is, all I can think about is getting out to the desert for some warm weather backpacking. Such was the case last week when Claudia and I drove over to Utah for four days of backpacking in the Needles District of Canyonlands National Park south of Moab. And what a refreshing trip it was, with exciting weather and some fantastic light to photograph. The trip also provided ample opportunity for me to test out my new Sony A7R 36mp camera matched up with my favorite Canon lenses. Since this is a popular new camera, and my first new professional camera in over four years, I’ll write a brief mini-review at the end of this post. 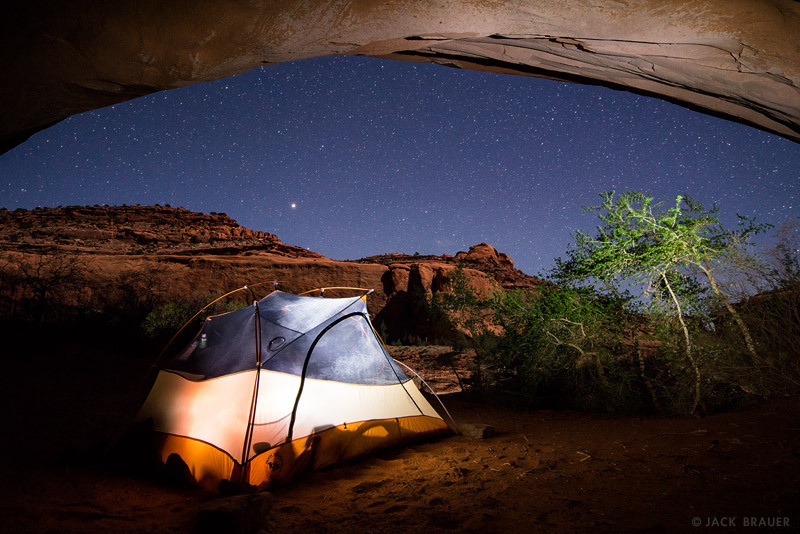 Posted in Backpacking & Trekking, Deserts & Canyons and tagged Canyonlands, Utah on March 10, 2014 March 10, 2014 by Jack Brauer.